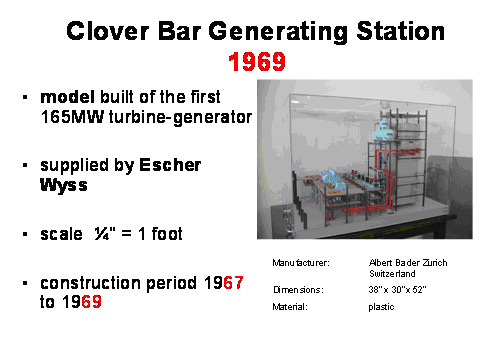 This is a model of the first 165 MW turbine-generator at the Clover Bar Generating Station. The model was supplied by Escher Wyss and built to a scale of 1/4" = 1 foot. The Clover Bar Generating Station was built between 1967 and 1969. Dimensions: 38" x 30" x 52"